We all think eating fruits means just buying fruits, cutting it and just popping it into our mouths. It’s not as easy as you think. It’s important to know how and when to eat the fruits. Fruits should be eaten on an empty stomach. If you eat fruits on empty stomach, it will play a major role to detoxify your system, supplying you with a great deal of energy for weight loss and other life activities. If you eat two slices of bread and then a slice of fruit the slice of fruit is ready to go straight through the stomach into the intestines, but it is prevented from doing so due to the bread taken before the fruit. In the meantime the whole meal of bread and fruit rots and ferments and turns to acid. The minute the fruit comes into contact with the food in the stomach and digestive juices, the entire mass of food begins to spoil. So please eat your fruits on an empty stomach or before your meals. The fruit mixes with the putrefying of other food and produces gas and hence you will bloat. Greying hair, balding, nervous outburst and dark circles under the eyes all these will not happen if you take fruits on an empty stomach. There is no such thing as some fruits, like orange and lemon are acidic, because all fruits become alkaline in our body. If you have mastered the correct way of eating fruits, you have the secret of beauty, longevity, health, energy, happiness and normal weight. When you need to drink fruit juice then drink only fresh fruit juice, not from the cans, packs or bottles. Don’t even drink juice that has been heated up. But eating a whole fruit is better than drinking the juice. If you should drink the fresh fruit juice, drink it mouthful by mouthful slowly, because you must let it mix with your saliva before swallowing it. Don’t eat cooked fruits because you don’t get the nutrients at all. You only get its taste, cooking destroys all the vitamins. You can go on a 3-day fruit fast to cleanse or detoxify your body. Just eat fruits and drink fresh fruit juice throughout the 3 days and you will be surprised when your friends tell you how radiant you look. It is tiny but mighty fruit. This is a good source of potassium, magnesium, vitamin E and fiber. Its vitamin c content is twice than that of orange. An apple a day keeps the doctor away. Although the apple has a low vitamin C content, it has antioxidants and flavonoids which enhances the activity of vitamin C thereby helping to lower the risk of colon cancer, heart attack and stroke. Women who eat at least one apple a day are 28 percent less likely to develop type 2 diabetes than those who don’t eat apples. Apples are loaded with soluble fiber, the key to blunting blood sugar swings. Strawberry is a protective fruit. Strawberries have the highest total antioxidant power among major fruits and protect the body from cancer causing, blood vessel clogging and free radicals. Orange is the sweetest medicine. Taking 2-4 orange a day may help keep colds away, lower cholesterol prevent and dissolve kidney stones as well as lessens the risk of colon cancer. It is the coolest thirst quencher. It is composed of 92% water it is also packed with a giant dose o glutathione, which helps boost our immune system. They are also a key source of lycopene the cancer fighting oxidant. Other nutrients found in watermelon are vitamin C and potassium. They are the clear winners for their high vitamin c content. Guava is also rich in fiber, which helps prevent constipation. Papaya is rich in carotene which is good for your eyes. The tomato is the edible, often red berry-type fruit. The tomato is consumed in diverse ways, including raw, as an ingredient in many dishes, sauces, salads, and drinks. The tomato is now grown and eaten around the world. It is used in diverse ways, including raw in salads, and processed into ketchup or tomato soup. Unripe green tomatoes can also be breaded and fried, used to make salsa,or pickled. Tomato juice is sold as a drink and is used in cocktails such as the Bloody Mary. One serving of red, ripe, raw tomatoes (one cup or 150 grams) is a good source of Vitamins A, C, K, folate and potassium. Tomatoes are naturally low in sodium, saturated fat, cholesterol, and calories. Tomatoes also provide thiamin, niacin, vitamin B6, magnesium, phosphorus and copper, all of which are necessary for good health. On top of that, one serving of tomatoes gives you 2 grams of fiber, which is 7% of the daily recommended amount. Tomatoes also have a relatively high water content, which makes them a filling food. In general eating plenty of fruits and vegetables, including tomatoes, confers protection against high blood pressure, high cholesterol, strokes, and heart disease. Along with prostate cancer and non-small cell lung cancer, pancreatic cancer and breast cancer are the two best-studied areas involving tomatoes and cancer risk. Research on tomatoes and breast cancer risk has largely focused on the carotenoid lycopene, and there is fairly well documented risk reduction for breast cancer in association with lycopene intake. Bone health is another area of growing interest in tomato research. Interestingly, the connection of tomato intake to bone health involves the rich supply of antioxidant in tomatoes. We don’t always think about antioxidant protection as being important for bone health, but it is; and tomato lycopene (and other tomato antioxidants) may have a special role to play in this area. In a recent study, tomato and other dietary sources of lycopene were removed from the diets of postmenopausal women for a period of 4 weeks to see what effect lycopene restriction would have on bone health. At the end of 4 weeks, women in the study started to show increased signs of oxidative stress in their bones and unwanted changes in their bone tissue. Healthy Skin:- Collagen, the skins support system, is reliant on vitamin C as an essential nutrient that works in our bodies as an antioxidant to help prevent damage caused by the sun, pollution and smoke, smooth wrinkles and improve overall skin texture. Tomatoes make your skin look great. Beta-carotene, also found in carrots and sweet potatoes, helps protect skin against sun damage. Tomatoes’ lycopene also makes skin less sensitive to UV light damage, a leading cause of fine lines and wrinkles. Regulates Blood Sugar:-Tomatoes can keep your blood sugar in balance. Tomatoes are a very good source of chromium, which helps to regulate blood sugar. Tomatoes are good for your eyes:-The Vitamin A found in tomatoes is fantastic for improving your vision. In addition, eating tomatoes is one of the best foods to eat to prevent the development of night blindness. Healthy hair:-Drinking tomato juice constantly improves the appearance and texture of hair, and since it is rich in vitamin k, it helps to strengthen the tufts of hair and increase its luster as well as the revitalization of growth. Rich Source of Vitamins and Minerals:- A single tomato can provide about 40% of the daily vitamin C requirement. Vitamin C is a natural antioxidant which prevents against cancer-causing free radicals from damaging the body’s systems. 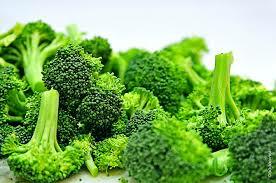 It also contains abundant vitamin A and potassium, as well as iron. Potassium plays a vital role in maintaining nerve health and iron is essential for maintaining normal blood health. Vitamin K, which is essential in blood clotting and controls bleeding, is also abundant in tomatoes. Digestive Health: Tomatoes keep the digestive system healthy by preventing both constipation and diarrhea. It also prevents jaundice and effectively removes toxins from the body. Furthermore, tomatoes have a large amount of fiber, which can bulk up stool and reduce symptoms of constipation. A healthy amount of fiber helps to stimulate peristaltic motion in the smooth digestive muscles, and also release gastric and digestive juices. This can regulate your bowel movements; thereby improving your overall digestive health and helping you avoid conditions like colorectal cancer. How to Select and Store Tomatoes? Choose tomatoes that have rich colors. Deep reds are a great choice, but so are vibrant oranges/tangerines, brilliant yellows, and rich purples. Tomatoes of all colors provide outstanding nutrient benefits. Tomatoes should be well shaped and smooth skinned with no wrinkles, cracks, bruises, or soft spots. They should not have a puffy appearance since that characteristic is often associated with inferior flavor and may also result in excess waste during preparation. Ripe tomatoes will yield to slight pressure and will have a noticeably sweet fragrance. Since tomatoes are sensitive to cold, and it will impede their ripening process, store them at room temperature and out of direct exposure to sunlight. They will keep for up to a week, depending upon how ripe they are when purchased. To hasten the ripening process, place them in a paper bag with a banana or apple since the ethylene gas that these fruits emit will help speed up the tomato’s maturation. If the tomatoes begin to become overripe, but you are not yet ready to eat them, place them in the refrigerator (if possible, in the butter compartment which is a warmer area), where they will keep for one or two more days. Removing them from the refrigerator about 30 minutes before using will help them to regain their maximum flavor and juiciness. Whole tomatoes, chopped tomatoes and tomato sauce freeze well for future use in cooked dishes. Sun-dried tomatoes should be stored in an airtight container, with or without olive oil, in a cool dry place. Cashew contains healthy monounsaturated fat that promotes good cardiovascular health, because monounsaturated fats reduce high triglyceride levels which are associated with increased risk for heart disease. Cashew has high energy density and high level of the dietary fibers, both of which aids to the weight management when eaten in limit. It is an excellent dry fruit for the pregnant women, if she is not allergic to it. It acts as an instant energy booster, make them feel fuller for long and best snacks in between the meals. It is one of the most beneficial dry fruits for children of growing age. It enhances the growth and development of the bones, teeth, brain, hair, skin and etc body part as they need more calcium, vitamins, minerals, proteins and calorie than other age group people. They are rich in “heart-friendly” monounsaturated-fatty acids like oleic, and palmitoleic acids. These essential fatty acids help lower harmful LDL-cholesterol while increasing good HDL cholesterol in the blood. Research studies suggest that Mediterranean diet which is rich in monounsaturated fatty acids help to prevent coronary artery disease and strokes by favoring healthy blood lipid profile. Our body needs nutrients from all food groups including fats; all you need to do is get it from good sources like cashew instead of unhealthy ones. Here’s why you should take the natural route to heart health. Cashew nuts are abundant sources of essential minerals. Minerals, especially manganese, potassium, copper, iron, magnesium, zinc, and selenium are concentrated in these nuts. A handful of cashew nuts a day in the diet would provide enough of these minerals and may help prevent deficiency diseases. Cashews are also good in many essential vitamins such as pantothenic acid (vitamin B5), pyridoxine (vitamin B-6), riboflavin, and thiamin (vitamin B-1). 100 g nuts provide 0.147 mg or 32% of daily-recommended levels of pyridoxine. Pyridoxine reduces the risk of homocystinuria, and sideroblastic anemia. Niacin helps prevent “pellagra” or dermatitis. Additionally, these vitamins are essential for metabolism of protein, fat, and carbohydrates at the cellular level. As cashew nuts are packed with high copper content, they play an important role in enzyme activity, hormone production and brain function. Apart from this, they also help in the production of red blood cells and thus, prevent anemia. Given the fact that cashew nuts are high in calories, numerous questions might be going in your head at this point of time. Twenty years of dietary data collected on 80,000 women from the Nurses’ Health Study shows that women who eat least 1 ounce of nuts, peanuts or peanut butter each week have a 25% lower risk of developing gallstones. Since 1 ounce is only 28.6 nuts or about 2 tablespoons of nut butter, preventing gallbladder disease may be as easy as packing one cashew butter and jelly sandwich (be sure to use whole wheat bread for its fiber, vitamins and minerals) for lunch each week, having a handful of cashews as an afternoon pick me up, or tossing some cashews on your oatmeal or salad. Although nuts are known to provide a variety of cardio-protective benefits, many avoid them for fear of weight gain. A prospective study published in the journal Obesity shows such fears are groundless. In fact, people who eat nuts at least twice a week are much less likely to gain weight than those who almost never eat nuts. Another ingredient in cashews is proanthocyanidins, which contain flavanols that inhibit the ability of cancer cells to divide and multiply, reducing incidences of colon cancer. It has an important mineral called Copper which helps hair to maintain their brightness, strong and black color. How to Select and Store Cashew nuts? Cashews are generally available in prepackaged containers as well as bulk bins. Just as with any other food that you may purchase in the bulk section, make sure that the bins containing the cashews are covered and that the store has a good product turnover so as to ensure its maximal freshness. Whether purchasing cashews in bulk or in a packaged container, make sure that there is no evidence of moisture or insect damage and that they are not shriveled. If it is possible to smell the cashews, do so in order to ensure that they are not rancid. Due to their high content of oleic acid, cashews are more stable than most other nuts but should still be stored in a tightly sealed container in the refrigerator, where they will keep for about six months, or in the freezer, where they will keep for about one year. Cashew butter should always be refrigerated once it is opened. Flaxseeds also called as linseeds. The seeds from the flax plant can be used whole, ground to make meal or used to create a vegetable oil known as flax seed oil. It is better to consume flax seeds than flax seed oil. Flax seeds are tiny nutty flavored seeds that not only taste good but have innumerable health benefits. Flax seed contains strong antioxidant and anti-inflammatory properties. There are two main types of flax seed: golden flax seed and brown flax seed. Their nutritional profiles are very similar and both contain the same number of omega-3 fatty acids. 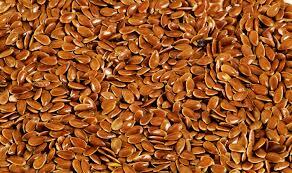 Flax seeds contain omega 3 essential fatty acids, lignans, soluble and insoluble types of fiber. It is the best food for the vegetarians to get omegba-3 fatty acids. Soluble fiber dissolves with water and creates a gel like substance that helps to lower blood cholesterol and glucose levels. Insoluble fiber absorbs water which adds bulk to your digestive tract and helps to move things through quickly. Flaxseed oil is sometimes added to salad dressing. Who shouldn’t take flax seeds? What are the Side effects of Flax seeds? Generally flaxseeds and flax oil seem to be safe. Green tea is the healthiest beverage. It is loaded with antioxidants and nutrients that have powerful effects on the body. Tea is considered the most consumed beverage in the world behind water, however 78% of the tea consumed worldwide is black and only almost 20% is green. Green tea is made from the leaves from camella sinensis that have undergone minimal oxidation during the processing. Green tea is used to improve mental alertness and thinking, also used for weight loss and to treat stomach disorders. Instead of drinking green tea, some people apply green tea bags to their skin to soothe sunburn and to prevent skin cancer due to sun exposure. Green tea in candy form is used in gum diseases in tooth. Antioxidants and other substances in green tea might help to protect the heart and blood vessels. An antioxidant is a molecule that inhibits the oxidation of other molecules. Oxidation reactions can produce free radicals. These free radicals can start chain reactions. When the chain reactions occur in a cell, it can cause damage or death to the cells. Antioxidants terminate these chain reactions by removing free radical intermediates and inhibit other oxidation reactions. Antioxidants are often reducing agents such as Thiols, Ascorbic acid or Polyphenols. Free radicals are highly reactive and have the potential to cause damage to cells, including damage that may leads to cancer. Normal cellular processes as well as environmental factors like pollution, smoking and stress result in the formation of free radicals in our body. Antioxidants inhibit the harmful effects of the free radicals, preventing damage to healthy cells and tissues. Green tea is rich in naturally occurring antioxidants- a wonderful way to protect you from free radicals. In general 2 grams of green tea per 100ml of water or about 1tbsp of green tea per 150 ml of water should be used. Use 1 teaspoon for n1 cup of tea. Always use good quality of leaves or powder to get the best taste. It has a bitter taste and this taste is increased if the tea is not prepared properly. Filtered water is recommended for the preparation. Always add the powder to water that is hot but not boiling. The ideal temperature is 80-85 c for making the best cup of tea. Green tea should not be steeped for more than 2 minutes. It is important to keep in mind that it may be a bad idea to put milk in your green tea, because it can reduce the antioxidant value. Different forms of green tea are available in the market. These are green tea bags, loose leaf, and instant powder. Green tea supplements are sold in capsule form or liquid extracts. If you use green tea powder then add the tea powder to the water and boil the water. Boil until the green tea powder falls to the bottom. Strain the green tea water in to the cup and serve. Increases the metabolism so we lose weight by taking 4 cups of green tea daily. Regulate glucose levels, slowing the rise of blood sugar after eating. Protects against the formation of clots and maintain blood pressure levels. Reduces the bad cholesterol in the blood. Relieves stress and anxiety. It is a perfect beverage to soothe your trouble mind. Destroy bacteria and viruses that cause throat infection and dental caries. Studies show that the catechins in the green tea can inhibit the growth of Streptococcus mutans. Green tea consumption helps in improving dental health and lowers the risk of dental caries. Helps to prevent the signs of aging and wrinkles. This is because of their antioxidant and anti-inflammatory activities. Green tea is likely safe for most adults when consumed in moderate amounts. Green tea extracts is possibly safe for most people when taken by mouth or applied to the skin for a short time. If you are pregnant or breast feeding women, green tea in small amounts about 2 cups per day is possibly safe. Consuming more than 2 cups of green tea daily has been linked to an increased risk of miscarriage and other negative effects. Green tea extract supplements have been liked to several cases of liver damage. Green tea extracts might make liver disease worse. Health is a condition of the body and mind which allows a person to reach his/her maximum potential. Many spiritual saints have proved in the past that through certain practices, Human body can be preserved for a very long period and the aging process can also be slowed down. While these practices have wavered between the elements of Spiritual, Physical, Food, Meditation and exercise to get optimum results. We will touch upon those that are exclusively diet related and easy to pursue in contemporary lives. These dietary habits, coupled with yoga and meditation, are an ideal package to attain holistic wellness of the mind and body. Early in the morning before brushing your teeth, consume half to one liter of lukewarm water. It detoxifies the entire system. Bed tea or hot coffee taken in an empty stomach can prove to be harmful in the long time. After half an hour it is advisable to eat some fresh papaya. Then after a brief interval have some good quality porridge (Dalia). The porridge should neither be too thick nor too thin in consistency. The salt content should be very low. You can add some boiled vegetables to it. One may sometimes have sprouts for breakfast in order to compensate any protein loss. One hour before meals, one may consume a plate of fruit or vegetable salad. The fruits or vegetables should be fresh. Avoid using salt, pepper or lime juice as it nullifies the properties of the salad. The fruits and vegetables should be washed in lukewarm water before they are consumed because formers tend to use organic fertilizers to grow them, the remnants of which can be very harmful. A proper lunch should consist of a balanced diet. The food should be absolutely fresh and not overcooked. The significance is not in the richness or quantity of food consumed, but in its assimilation into the digestive system. It is best to avoid oily, spicy or pungent food. It is always better to take yogurt or curd rather than milk since it is always difficult to digest the latter. Some vegetables are best eaten raw and unpeeled (after washing properly) rather than cooked. Avoid the consumption of excessive protein like pulses, Rajma, Chhole etc since it may enter the blood stream in the form of uric acid and other ammonia like compounds, which can cause gout, arthritis, kidney ailments, constipation or liver diseases. Therefore heavy protein should be consumed only once every alternate day. Do not consume water during the meals or till one hour post lunch. One must consume 50 to 100 gms of leafy vegetables such as fenugreek leaves, spinach, radish leaves or mustard leaves as they contain rich minerals and vitamins. Amla is good in any form if taken during meals. Avoid non-vegetarian food as it enhances mental and physical aggression, anger and heart ailments that hinder that progress during meditation. Yogis in India, have always preferred to eat light Satvik food that keeps the mind and body light and agile. If it is not possible to rule it out completely, then the quantity should be reduced substantially. Sugar and salt in excess, pickles are harmful. Many food items already possess adequate quantity of salt and sugar. Therefore these should be used sparingly. Pickles which are full of acids, cause grave chemical reactions in the long run causing hyper tension, acidity or ulcers. Although too much of ginger should be avoided, measured quantities are advisable owing to its therapeutic value. It is ideal for all respiratory infections, cough and asthma. Ginger juice mixed with honey and black pepper is ideal for preventing and curing cold. It is better to cook it rather than to consume raw, since cooking does not ruin its health bestowing properties. Supper should be taken at least two hours before retiring to bed. It should be as light as possible. It may consist of one bowl of vegetable. Turmeric has been used as a spice in Indian recipes and as Ayurveda medicine. Health benefits of turmeric are due to its anti-inflammatory and antioxidant properties. Turmeric and milk have natural antibiotic properties. These two natural ingredients in your daily diet can prevent diseases and infections. Turmeric when mixed with milk can be very beneficial for many health problems. Traditionally turmeric milk has been used for colds, congestion, headache and sore throats. Turmeric is a depression fighter as well. Ayurveda and Unani systems of medicines in India have used turmeric in health and wellness since for as long as records even exist. Add ½ teaspoon turmeric powder, 2 pieces of cinnamon stick and 2 cloves to 1 cup of milk. Cook till it boils and pour it into a cup. This drink is useful when you are sick with cold or sinuses. Pepper corns can be added along with turmeric is said to improve the absorption of turmeric by the body. Best remedy to treat insomnia. Drinking turmeric milk before going to bed will give you a peaceful sleep. Turmeric milk is good for the stomach and helps in the digestion process. It can be used to treat diarrhea and indigestion but for this you need to use low fat milk. High fat milk can aggravate the symptoms of diarrhea. Spring onions are also good for speeding up blood circulation. They provide protection against fungal infections and works as an appetizer as well. Regular intake of spring onions is extremely good for the health.